Colonne - The French term for Column Bet. 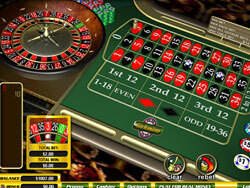 European Roulette is the Roulette game of choice. The reason for this is simple. European Roulette has 37 spots on the wheel. 36 numbers and one zero. American Roulette has 36 numbers, one zero and a double zero which dramatically shifts the odds in favor of the house.